10 games in 1 handheld & plug-n-play. 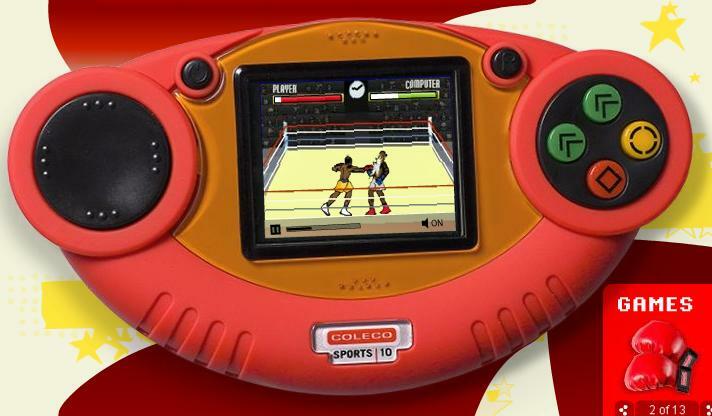 Play Boxing games on this Coleco Super Sports handheld plus other 9 sport games. Play like Mike Tyson, Holeyfield or other world boxing champs!.